If you got your February benefits early, these benefits are meant to last through February. Remember that, as always, you can keep benefits on your EBT card and spend them over time: your EBT card will continue to work throughout the shutdown and your benefits will always rollover to the next month. Below are some tips and resources to help you make your benefits last for as long as possible. If you have other questions about how the shutdown affects your benefits, check out this post. Make a shopping list before you go to the store. This will help you buy only what you need and not overspend when you are in the store. You can use the shopping list feature in Fresh EBT to help you calculate how much is in your basket (adding prices of items as you add them to your cart), or you can use the calculator app on your phone to do the same thing. Avoid buying smaller, individually packaged items. When food comes individually wrapped or in small quantities, it often costs more. Buy large packages of snack items, and make individual packages yourself. Freeze and store things that you can (here’s a list of items that you can easily freeze and some that don’t freeze well). You can also do things like shave your own lettuce or shred your own cheese (rather than buying pre-shredded lettuce or cheese) to save. Create a meal plan and stick to it when you are shopping. A meal plan can help you make a list of items to buy. Meal planning can be overwhelming at first, so you can start with just a few days. Make enough so that you can eat the leftovers for lunch the next day or freeze portions for a future meal. More meal planning tips and ideas below. Buy less meat — beans and lentils are cheap, healthy, and versatile alternatives — or buy the meat that’s on sale. A one pound bag of lentils or beans makes 10 servings (!) at only ~$1.99 a bag. Beans also packed with fiber to keep you fuller for longer, as well as lots of vitamins and minerals. Avoid buying what’s at eye level on the shelves. Those are often the most expensive branded items. Look above or below for more affordable brands or store / generic brands. Many store brands are made by the same companies that make brand name products! Here’s a list of some items that are best to buy generic. The goal of meal planning is to plan out all your meals (and snacks) for the week so that when you go grocery shopping, you only buy what you need. Often times, the meals you plan have ingredients that overlap with other meals during the week, so you can make the most out of what you buy. Or you can plan to have some of your dinner leftovers for lunch the next day. Select a set of recipes that you like. You can use cookbooks, online blogs, or the Fresh EBT app Recipes section for help and inspiration. If you have a favorite grocery store and access to their sale flyer, it can be helpful to plan your recipes around a few items that are on sale that week. Write down your list. 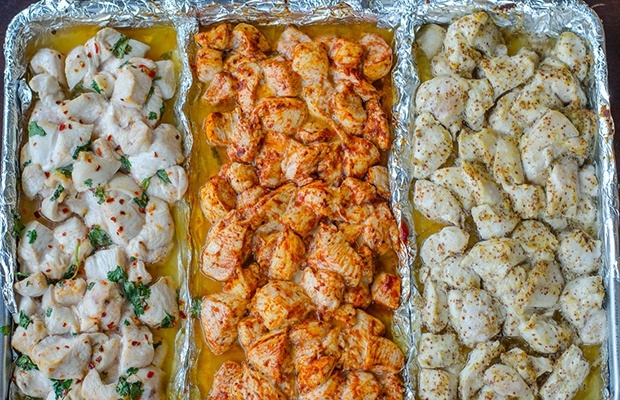 Combine all the ingredients together or write them categorized by recipe — up to you! Don’t forget quantities, especially if you’re using the same ingredient for more than one recipe. There are some apps that help with this too, like Mealtime or Foodplanner. When cooking, try to make as many things as you can at once to save cooking and clean up time. Examples of this are roasting multiple vegetables at the same temperature for different lengths of time, or dividing the same pan using tin foil to roast ingredients with different seasonings. 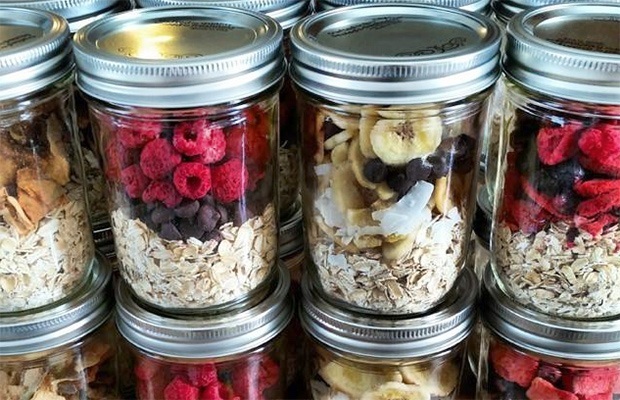 You can also pre-cut or pre-portion breakfasts (like oatmeal or smoothies) in jars to save time and help you make the food last all the designated days. Want to try meal planning? Still have questions? Email help@freshebt.com and we’ll do our best to get back to you.